Playlists were made for working with Media Player. 2Select the sound files you want for the playlist. The easiest way to find them on your computer is probably by using Windows Explorer or My Computer. 3Right-click the files and choose Add to Now Playing List. 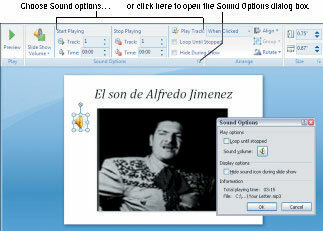 4In Windows Media Player, select the Now Playing tab. The files you selected appear in the Now Playing list of Windows Media Player. If you don’t see the Now Playing List, click the Restore the Video and Visualization Pane button located near the upper-right corner of the window. 5Click the Now Playing List button. 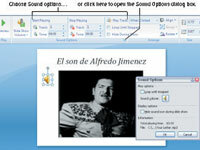 7Enter a name for your playlist, save it in the same folder as your PowerPoint file, and click the Save button. Congratulations. You just created a .WPL (Windows Media Playlist) file.